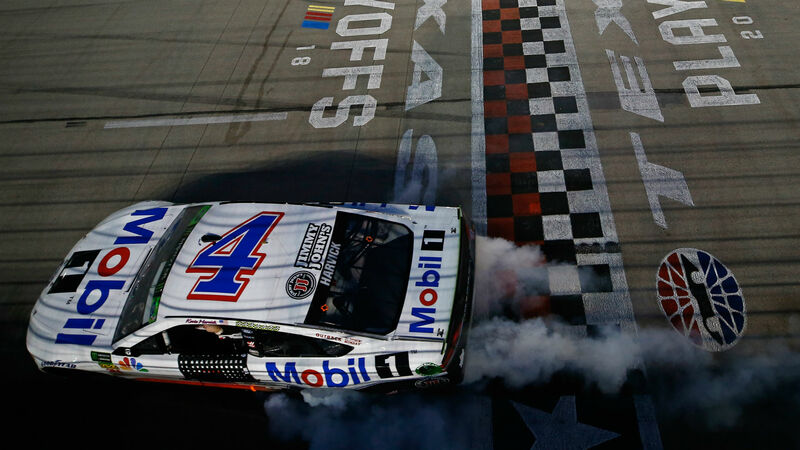 Kevin Harvick’s NASCAR Cup Series playoff spot is no longer guaranteed after his race-winning car from Sunday at Texas Motor Speedway was found to have illegal alterations to the rear spoiler. NASCAR announced the penalties against the Stewart-Haas Racing team, which included knocking Harvick out of using the automatic berth to be among four drivers vying for the championship at Homestead-Miami Speedway on Nov. 18. Additionally, Harvick was docked 40 points, crew chief Rodney Childers and car chief Robert Smith were suspended for the last two races of the season, and Childers was fined $75,000. Stewart-Haas Racing team will not appeal the penalty and former Cup crew chief Tony Gibson will replace Childers. Harvick still has the possibility to clinch the final playoff spot available on points. He sits three points ahead of Kurt Busch and 17 points ahead of Chase Elliott heading into the elimination race Sunday at ISM Raceway in Phoenix.